One of the rules about writing a sailing blog is that you are required to write at least one post about going to a boat show. I know, it may not be easy to find, but, buried somewhere in that page of fine print with the button at the bottom that says 'I agree' (that you must click before you can start up a sailing blog) is a confusing paragraph of lawyerspeak that says you must write a post about going to a boat show. I've never actually found that paragraph, but it must be there. How else could you explain why practically every sailing blog - even some very good ones - eventually runs a post about going to a boat show. I have been to exactly two boat shows in my life - one about 30 years ago and the other about five years ago - and I can say with some confidence that I will never go to another. And I would certainly never write a blog post about the experience were it not for this legal requirement to do so. So now is as good a time as any to fulfill my contractual commitment to Blogger about writing a boat show post. What finally convinced me was Tillerman's recent boat show post - written reluctantly, I'm sure, and under pressure from his legal staff. This actually started as a comment on that post - one of those long, irrelevant comments I often bother him with, but it became too long a comment even for me, so I decided to sink two boats with one faulty stuffing box and just make it a post here. It seems not to matter too much what boat show you go to. Judging from the two I've been to - 3000 miles and 25 years apart - and from all of the obligatory write-ups in blog posts I've read about going to boat shows, they are all exactly the same. Their main reason for being is to get people who would not otherwise do so to buy stuff. But not the stuff you would think. At first, you might imagine, with all of those 90-foot, zillion dollar yachts lined up that it's those zillion dollar yachts they're trying to get you to buy. Do you really think that anyone who buys a 90-foot, zillion dollar yacht buys it at a boat show? Do you think they pay the same twelve bucks for a ticket that you and I do (and ten bucks to park) and then stand in line to get in and then take their shoes off to squeeze through narrow spaces belowdecks and rub elbows with a lot of other sweaty boat show goers before plunking down their zillion bucks? Think about that for a minute. Those glitzy boats are mainly there to make the rest of us start drooling and to put us into a buying state of mind. There's an almost Pavlovian connection between seeing row upon row of shiny new yachts and wanting to buy marine gear - of any kind. Boat shows do not exist to sell gazillion dollar yachts. They're there to sell stuff like the SolLight LightShip Solar-Powered LED Suction Cup Mounted Light. I should explain that I am the proud owner of a SolLight LightShip Solar-Powered LED Suction Cup Mounted Light, which I acquired at that last boat show I went to. Like everyone else, I lined up innocently enough in the parking lot waiting to get in without the faintest notion in my head that I needed a SolLight LightShip Solar-Powered LED Suction Cup Mounted Light. Before I entered that boat show, I didn't know that SolLight LightShip Solar-Powered LED Suction Cup Mounted Lights even existed. Nor did I think that my boat was especially lacking in below-deck lighting fixtures. But I was seduced by the siren song of the marketing team hired by the boat show - Barnum, Scylla, and Charybdis. I think what happens to us at boat shows is that after wandering from one luxury yacht to another, we start comparing them in our heads to that mildew-laced leaky old tub that's waiting back at the dock for us, with the brightwork that needs sanding, the steering gear that has developed a bit too much play, the rig that will need some professional attention this season, and the mystery electrical problem that defies all attempts at repair. And we start to think there must be something here that we can afford that will make that poor excuse for a boat in some small way closer to these magnificent and pristine creations all around us at the boat show. Something that will restore our boat's former glory. Or maybe we just fear our boat will know we have been unfaithful to her, partying here at the boat show with all of these saucy young sloops and cute ketches. Whatever it is, after a few hours of wandering from one exhibit booth to another, we happen upon those long rows of vendors with stuff priced in a more affordable range. Compared to the glitzy yachts, this stuff is practically free. And those prices are made even more attractive by the ruse of the Boat Show Special. For instance, do you realize that the full retail price of a SolLight LightShip Solar-Powered LED Suction Cup Mounted Light is $19.95? 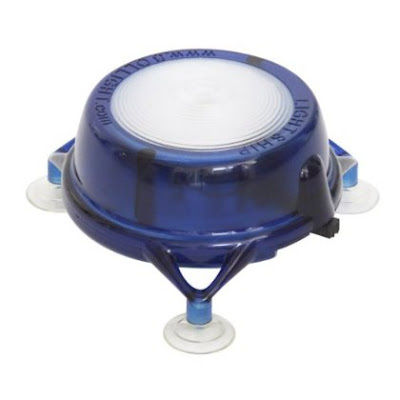 But, for boat show goers only, and only for the duration of the boat show, a SolLight LightShip Solar-Powered LED Suction Cup Mounted Light can be had for only $14.95? How is that possible? How can I not take advantage of such a remarkable and never-to-be-repeated savings? And - and here is the truly evil part of the boat show marketing rubric - if I save five dollars on the cost of a SolLight LightShip Solar-Powered LED Suction Cup Mounted Light, am I not, in effect, reducing the cost of the entrance fee to the boat show by a like amount? And if I were to buy two SolLight LightShip Solar-Powered LED Suction Cup Mounted Lights, it would be the same as getting into the boat show for free! Of course that raises another troubling question about boat shows. If this is a commercial wonderland constructed solely to help marine companies sell stuff, why should I have to pay to get in at all? I don't have to pay an admission fee when I go to the supermarket for groceries. When I go to Home Depot for light bulbs, there's no cover charge at the door. But then, never in a thousand years will I find at the supermarket or Home Depot anything half so wonderful as a SolLight LightShip Solar-Powered LED Suction Cup Mounted Light. If you can read this comment then I only had to type in one word to prove I'm not a robot. Having to squint to read a word and then having to type it in a small block within a limited time interval makes robots out of all of us. Of course, this gets better. The address of Google's main campus in Mountainview is on - Amphitheater Parkway. No, I'm not making that up. Nice blog and good article is written, Thanks for sharing. So you still get spam even with the "squint at this word to prove you're not a robot" thingie. Could it be any worse if you just turned off the the "squint at this word to prove you're not a robot" option? I remember going to a boat show in Philadelphia in the sixties. I didn't understand why we couldn't buy the zillion dollar yacht we were walking around on in our socks. Then we went to lunch at Horn & Hardart. Maybe that's why? I think you're right, Tillerman, there is simply no defeating the persistance of the spammer. If we are all reduced to behaving like robots to thwart them, then the spammer has won. I guess Google has laid off all of those playful verification word writers they used to employ in Mumbai. In a way, I will miss them. Their work was often the most imaginative content on this blog. Some day, we will see retrospectives of their work hanging in the world's great museums. Baydog. I don't think I ever made it to one of the boat shows at the old Convention Hall - where my high school graduation was held, by the way. That first boat show I went to was in New York - on assignment for the Trenton Times, of all things. 'H and H', as my parents used to call it, was a favorite of mine in my formative years - one of the few restaurants (using the term loosely), that my parents would splurge on. It was there that I learned of the wonders of 'Salisbury Steak'. I even remember the last days of the old downtown Automat. Drop a quarter in the slot, turn the metal knob, and the glass door would open, freeing your piece of apple pie. Magic! Horn & Hardart !! WOw it has been years since I recalled that name and the magic glass doors. 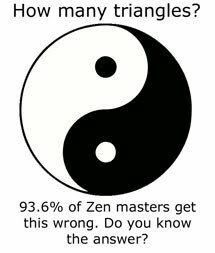 Warning, I will be at the April Boat with the ZenBoat! Zen, what was it about the Automat and those little glass doors? Before I was too old to be seen going anyplace with my mom, she used to take me downtown, just before Christmas, to wander through the eighth-floor toy department at Wanamakers. I always insisted that we have lunch at the Automat. I don't know why I loved that place. It couldn't have been the food. Is there some connection between being fascinated by the gadgetry of the Automat and wanting to sail? Are you taking the Zenboat to the boat show? Are you involved in the show somehow? Oh wait, you must mean the Japanese boat with the electric motor, not your own boat. Never in my life have I been to a boat show. Perhaps I should organize one so as to get rid of a few extra boats. Pat, with your propensity for buying boats, I'd stay as far away from boat shows as possible. I am much more disciplined and confine my binge buying only to thoroughly practical gear like the SolLight Lightship Solar-Powered LED Suction Cup Mounted Light. OK. who's posing as Test Papers? I like your SolLight Lightship Solar-Powered LED Suction Cup Mounted Light. I hope you got two. YOu can always throw away the bulb and wiring and keep the lovely blue top for a cake cover which you could secure to sea on top of a clean formica top. Automats! look what that brought up: !!! I went to one once but I think it was before I started blogging. Are they going to take my license away now? I did get a really excellent hat the time I went. BTW I'm going to Philly for the flower show weekend after next. Maybe I should finally try a groundhog cheese steak. I mean a Phil cheesesteak. I mean a PHILLY cheesesteak! Aaagh! Wow, I'm impressed that you're going all the way to Philadelphia to see a flower show - or that you're going to Philadelphia to see anything, for that matter. I see the show is at a brand new Convention Center (that I know nothing about), but it is right next to the Reading Terminal Market, so you should be able to find some reasonably authentic cheesesteaks there (if you can deal with eating anywhere that has the word 'terminal' in its name). For once, I'd like to hear an unbiased review of the Philly Cheesesteak experience. Almost anyone who writes about them is from Philly and has a vested interest in defending The Faith. At least you'll be able to sample one without having to trek into the wilds of Sout' Philly. And maybe Baydog has some tips about finding some real food nearby. My knowledge of the local restaurant scene is about 30 years out of date. Oh, shoot, I was going to ask my friends if they wanted to go to the Horn & Hardart...would there be any sort of problem with that? The flower show theme this year is Hawaii, that's why my friend Mandy thought of me. As far as Philly cheese steaks - I have to admit that when I have encountered them, I usually don't find myself particularly wanting to try them, they look awfully greasy. But mostly I see them in our cafeteria, which is mostly very good (like today they had a caprese salad in the salad bar today with some seriously good fresh mozzarella - I knew tonight was going to be a late night so I got some for dinner & it made life a little better) but does have the occasional miss. Maybe I will be braver in Philly! Boat shows are fun! I hope you enjoy yours too. I enjoy my boat. . .love it. . I need to innovate the design ..new paint would suffice I guess. . .thanks for the information on your blog.